Yesterday I made a new pirate on Pirate101. Before I actually made the new pirate I had to ask Twitter which school they think I should make. 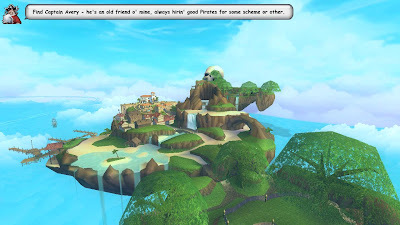 All of the schools on Pirate101 are all great and that made it difficult for me to choose. About three pirates said Musketeer so that's the school I chose! That's a nice view of Skull Island. 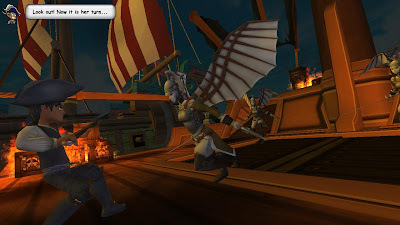 I'm glad I made a new pirate to quest on when I'm not blogging with Edward Cringle. I might make a few posts of his leveling but I don't have any plans to make any posts as of yet. I really wanted to show you where I am on the game so you know me a little better! 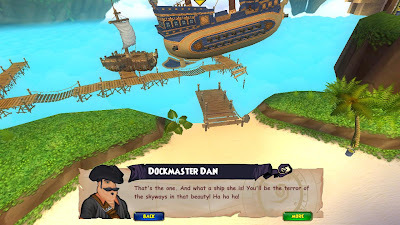 I hope to see you in the skyways and if you do see me, make sure to say ahoy! I'll add you as a friend. - Edward Hawkins, Level 5 Musketeer.